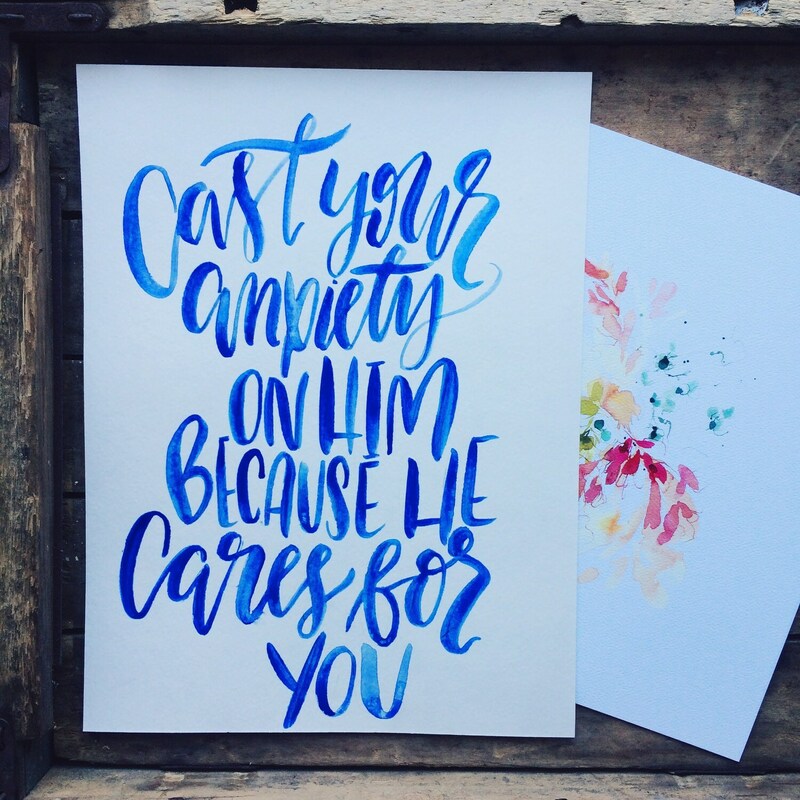 Case your anxiety on Him, because he cares for you - Such truth in this lovely watercolor painted in shades of blue! 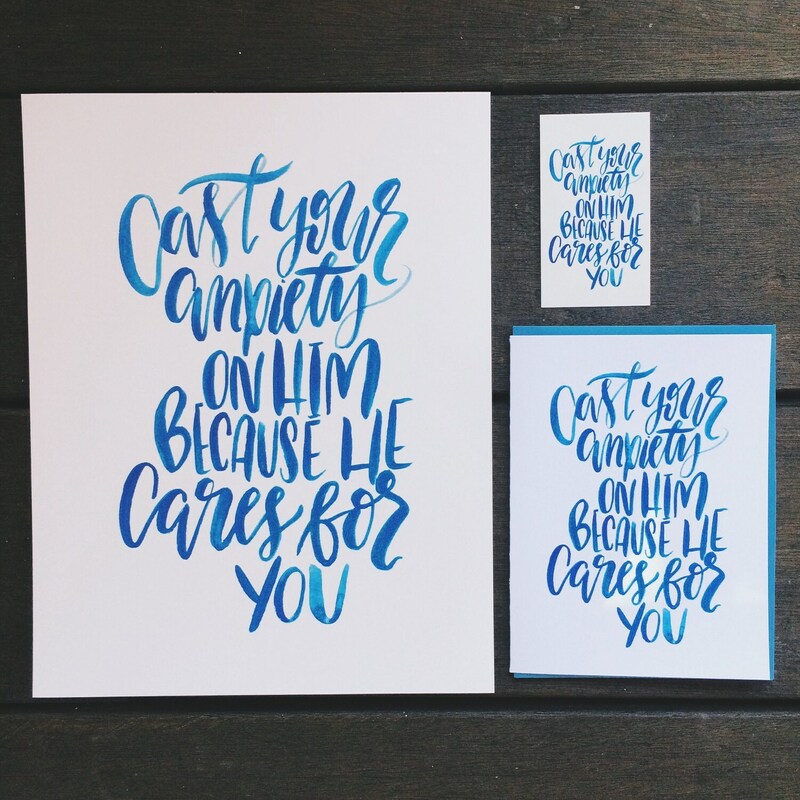 Makes a perfect Easter gift, or gift for Christians who need an encouraging word upon their walls! 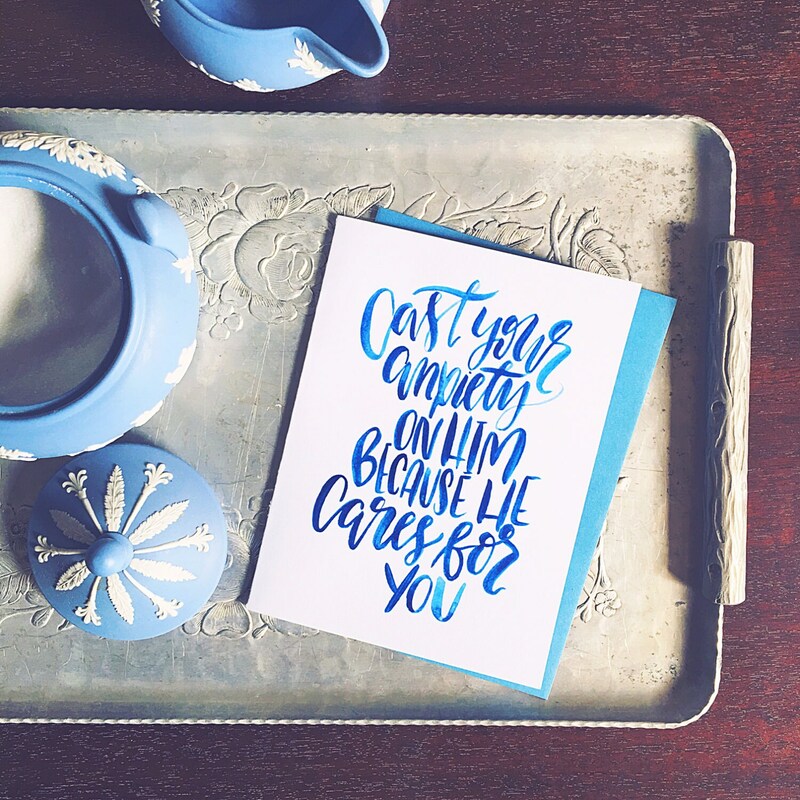 Professionally scanned and printed at my local print shop on super luxe textured paper. Packaged and shipped in a branded rigid mailer to ensure your fine art print arrives in beautiful and pristine condition. 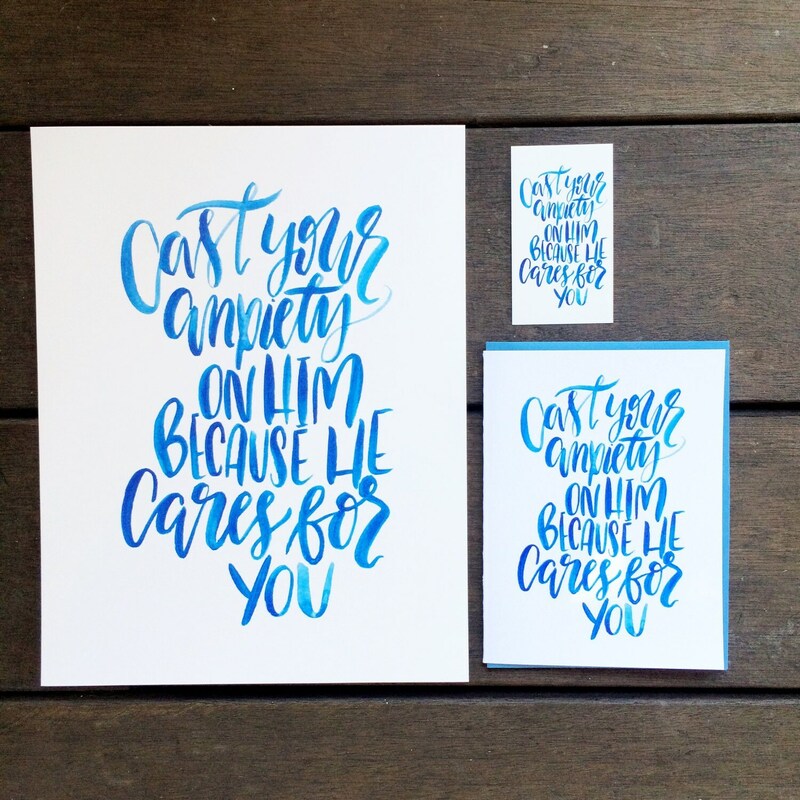 Also available as a greeting card and in a set of mini scripture cards. Letter sized 8.5x11in, designed to fit in an 8x10in mat.